Hi y’all! I’m in the middle of the foyer update and it’s reeeeeeallly slow going. I feel like the tortoise on anti-steroids. It’s been raining a bit, and I haven’t been able to drag the miter saw outside to cut all the triangles like I’ve wanted. I have gotten one row up on one wall. It’s looking good, and nothing is falling down. Hooray! I should be finished, oh… about next March. But you’ll hang in there with me, right? 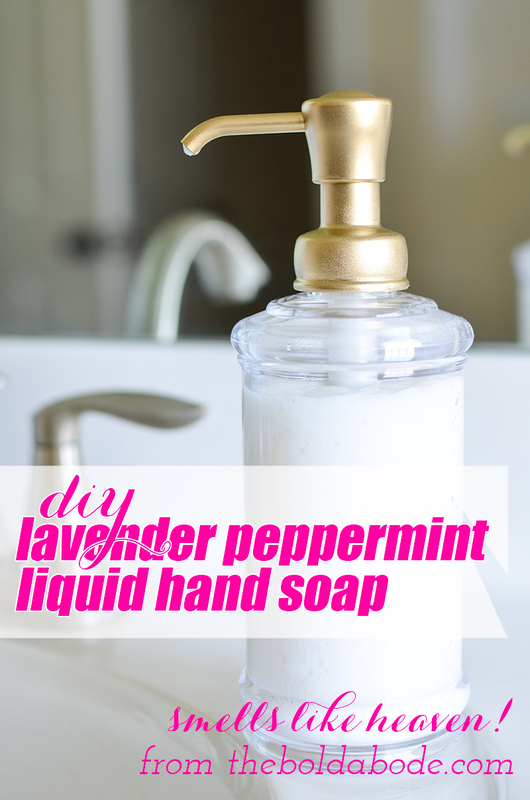 So while the weather has held me up, I took some time to make this amazing DIY Lavender Peppermint Liquid Hand Soap. Lavender and Peppermint is my obsession when it comes to using essential oils in my cleaning products. I use it in my Basic Deodorizer, my All Purpose Cleaner, my DIY Granite Cleaner and DIY Air Freshener. You can find those tutorials and more in my Naturally Fresh Home Gallery. This liquid hand soap is a fantastic addition to my arsenal of cleaning products. For this batch, I used Ivory soap. 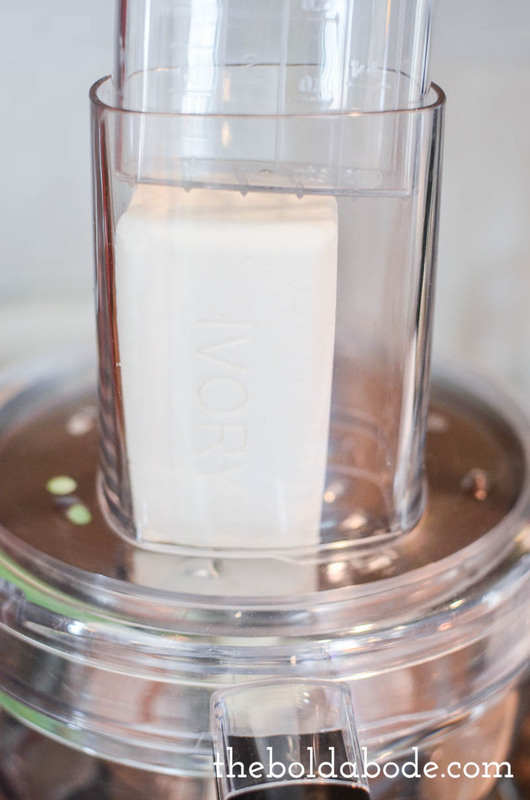 I’ve read up on it, and there is some question as to how “natural” Ivory is, so if you are really concerned about how natural you are, be sure to investigate your bar soap options. I’m comfortable with Ivory, so that’s what I used. Take your bar of soap and grate it. 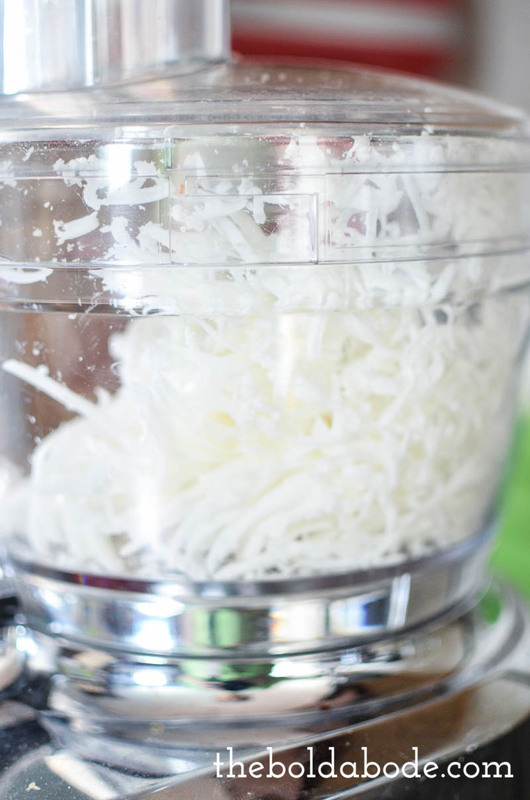 I used my food processor, and it shredded it like butter. Except I’ve never heard of anyone shredding butter. But if one did shred butter, that’s how easy this is. Butter shreddingly easy. Now, boil your water. I have an electric tea kettle, (<=amazon affiliate link) and it’s wonderful for boiling water which is great because that’s what the design people made it for. I’m sure that makes them happier than a baby skunk vying for the crown in a “Cutest, but Stinkiest Animal Pageant”. 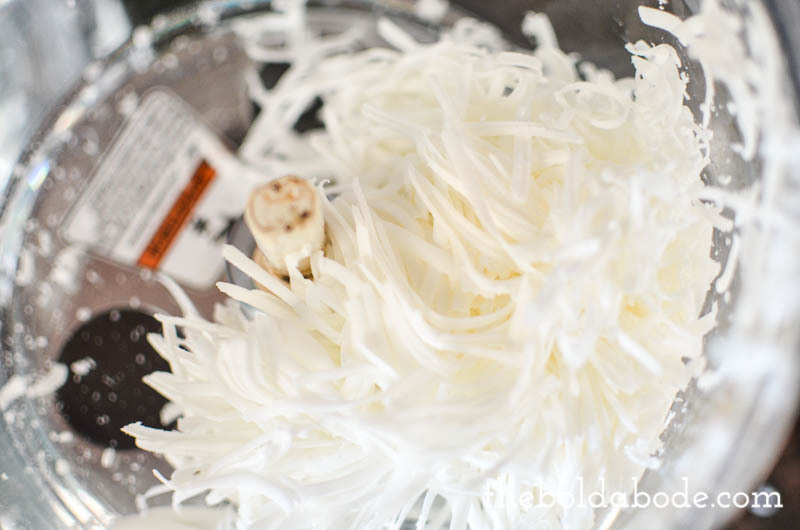 Pour three cups of boiling water over the shredded soap and stir until it dissolves. This takes a few minutes, so be patient and just keep stirring. Once all the shreds are dissolved, let it cool to about room temperature. Then add your coconut oil. I microwaved my oil for a few (like 8) seconds to liquify it. Whatever you do, DON’T add it before the water has cooled. I tried that and the oil coagulated into a big ball of gunk which is so weird because coconut oil usually liquifies when warmed. There must have been some strange chemistry going on there. But adding it after the water has cooled worked just fine. Next, add your essential oils. You can actually use whatever you want or just be cool and use what I use. It’s so heavenly! 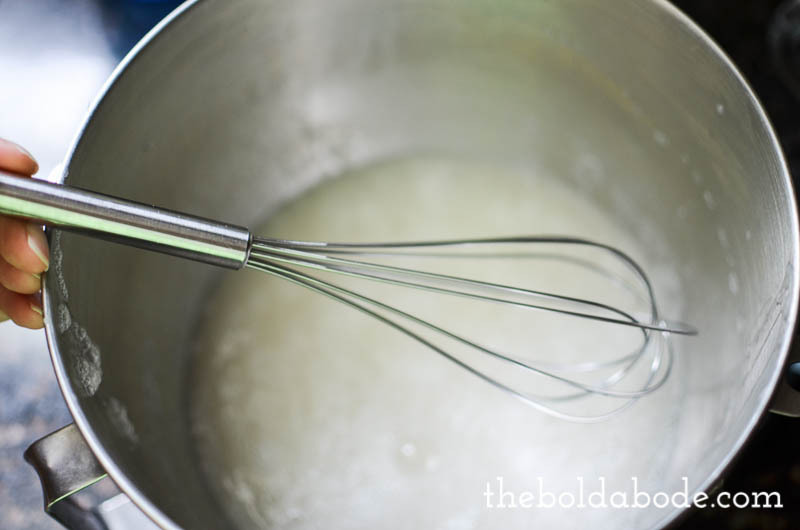 Then, whisk the mixture until everything is combined. It will turn into a big pot of slime… like, almost the consistency of flubber. You could probably use this for your pre-Ks to mess with. That’s how slimy it gets. If it turns out too thick and slimy for your taste, just use more water the next time. You can try adding water to it at this point, but I’ve never done it and can’t attest to the outcome. You’re on your own here. Take a funnel, and pour it into a pump bottle. I found this one at BBB. I spray painted the pump because I have an addiction to gold right now. When I went to photograph it, it dawned on me, like a good hair day on a rainy morning, that all of my faucets are nickel. Mixed metals are so in right now, right? It kills me how on trend I am. At least, that’s what I’m claiming. SO on trend. NOTE: It took a second to get it to pump. I guess it’s that thick. But it worked and I’m loving my new hand soap. This recipe actually makes enough to fill two bottles, I think. Just fyi. 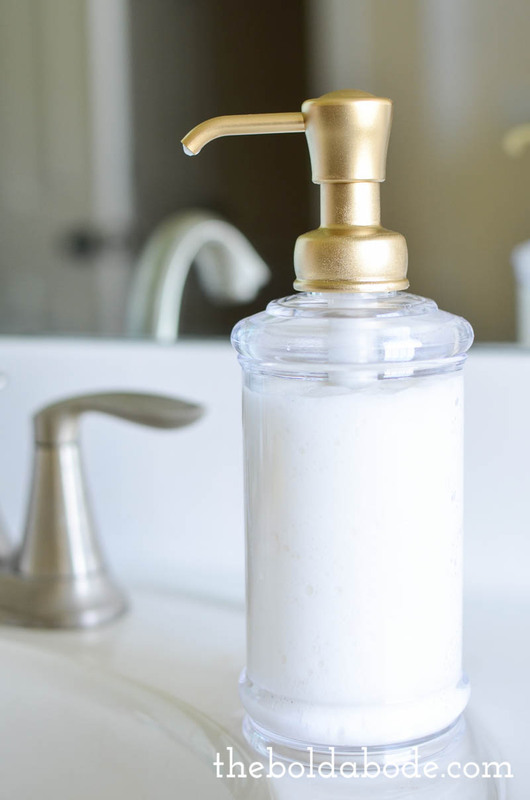 Do you make your own hand soap? Is your recipe similar? Let me know down in the comments below! 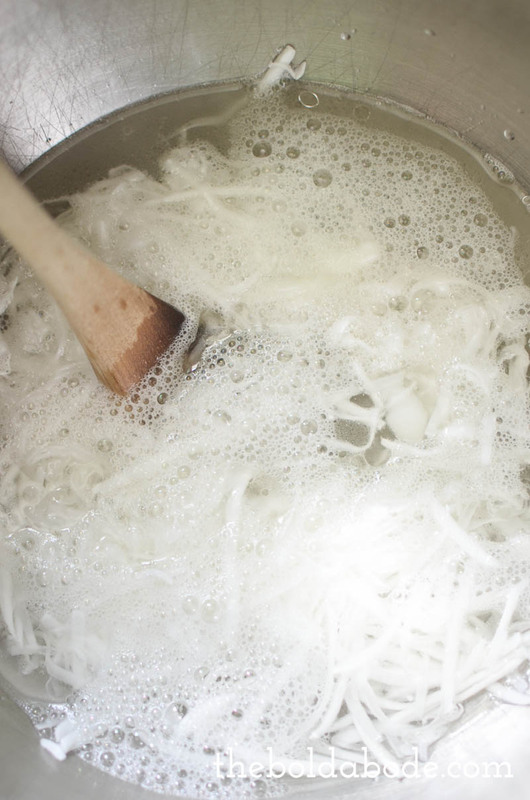 Have you tried to make foaming soap with this recipe? I have saved the foaming pumps & bottles from a previous purchase and fill them with about a third of soap and the rest distilled water. No, I haven’t, Chez. But what a great idea to try! 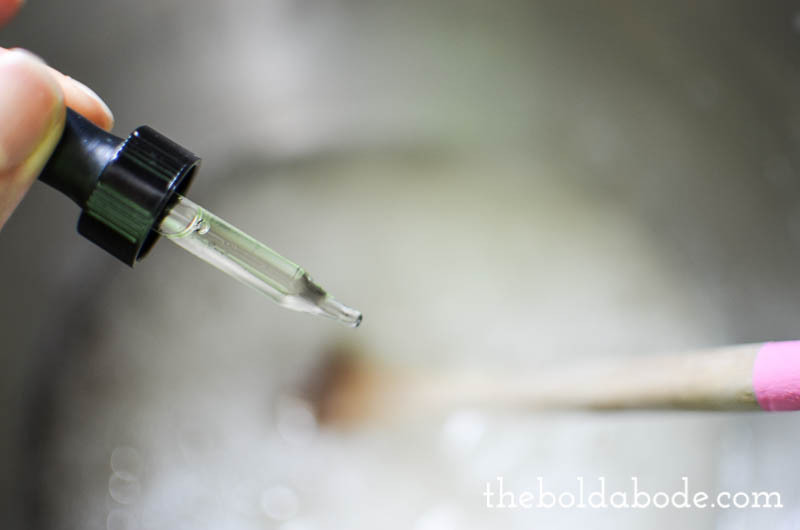 how much $$ would you estimate you’re saving by making your own soap? 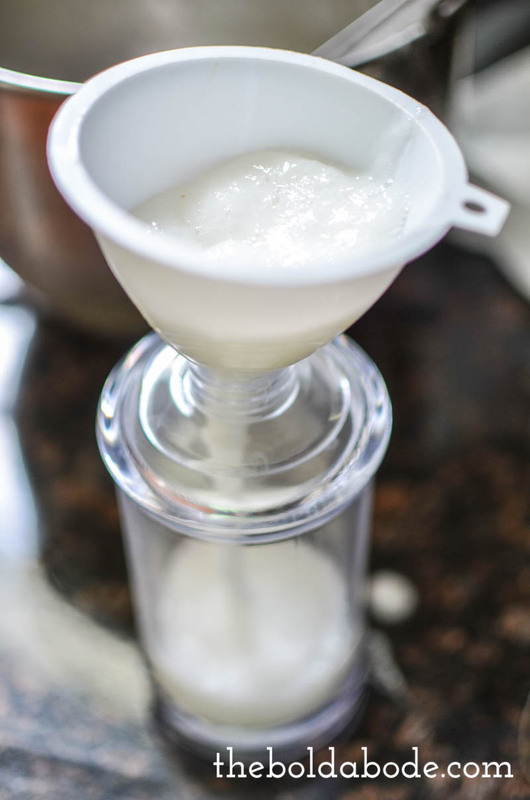 I make my own laundry soap and Get that warm fuzzy feeling from the dollars I save 🙂 great recipe, can’t wait to try it! Gosh, I’m not sure, Meghan. 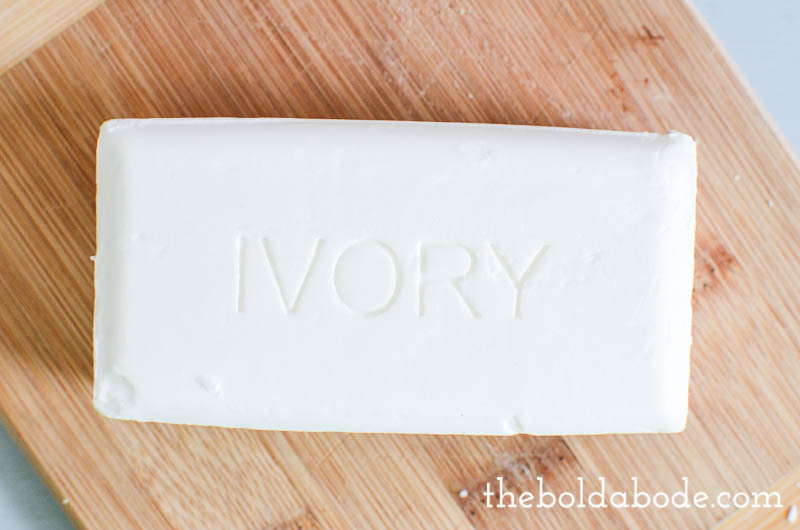 But I know a bar of Ivory is really cheap and the soap is so soft and smells so good, it’s worth whatever it costs! Hi there, I’m curious if your soap foams? I made some similar and ended up with about a 1 gallon bag. I used one bar of soap but many more cups of water LOL. I think I added jojoba oil instead but mine doesn’t foam. I know it still cleans well but hubby’s not thrilled with it. BTW, I love your pump, I never would have thought of painting it. I have a self-foaming pump but the top is brown so changing it is now an easy option. Toni, I woud say that it lathers rather than foams. But it’s great and I love it. Thank you! I’m looking forward to trying this today. Like you, I prefer a thicker soap but found it was a challenge to refill the empty bottle.